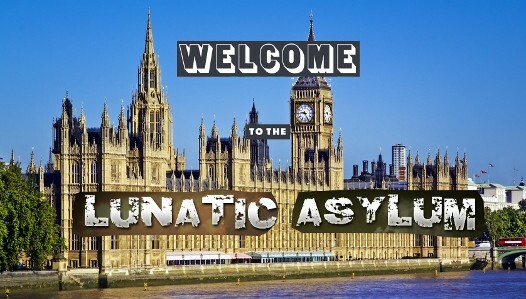 The British Gazette » Brexit: Welcome to the Lunatic Asylum! The title of yesterday’s article (http://www.british-gazette.co.uk/2017/10/09/passing-the-time-bomb-have-the-lunatics-taken-over-the-asylum/), asked if the lunatics had taken over. It now appears so! The Lunacy Act 1842 (5&6 Vict. c.64), established the Commissioners in Lunacy which after 1845 were retitled Masters in Lunacy. This old and now disused title seems to fit those sitting on the government front benches! Whilst it would appear that the UK is headed towards a hard, “No Deal” Brexit, until Friday 29th March arrives, there is always a chance that the British economy might be saved this deeply damaging trauma. The question we should address is; HOW? In yesterday’s article, were the negotiations to be terminated/suspended we suggested that there are two choices: Reopen them or proceed to a No Deal Brexit. A. negotiate a deal which MUST include a transitional arrangement. B. negotiate a revocation of Article 50. 1. the transitional arrangement will be that the UK remains in the EEA (Internal/Single Market) and the EU Customs Union – subject to the jurisdiction of the ECJ! IF this agreement can be decided inter-governmentally then the UK is off the hook of a crash Brexit. IF it requires a treaty, even if was quickly negotiated, it would take time to ratify. IF the latter applies, then the agreement has to be agreed by this time next year at the latest! 2. Revoke Article 50 and remain in the EU. The EU will demand that terms be applied which could include a commitment to join the Euro. It would certainly mean the UK paying more into EU coffers than it used to!